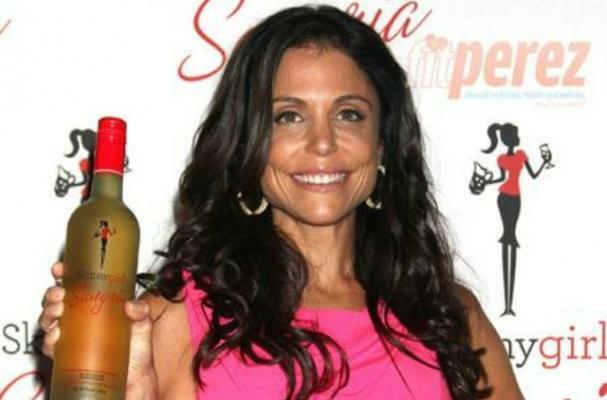 Bethenny Frankel's SkinnyGirl Cocktails have officially been taken down from Whole Foods Shelves. It turns out The Real Housewives of New York City star wasn't providing as many natural ingredients as everyone thought. Whole Foods said the decision was made when they found out the "natural flavors" SkinnyGirl claimed to use weren't entirely natural. I guess it's time to find a new low-cal alcoholic beverage! What were the "natural flavors??" How bad are they? Monica, I wasn't able to find any more information, but if I hear anything else I will be sure to let you know! Wow! It will be interesting to see how this unfolds. Proud of WFM for investigating! Why would anyone would drink that crap anyway? A margarita should be tequila, triple sec and fresh lime juice shaken with ice, served in a salt-rimmed (if you like) glass. Nothing else. Mixers are a waste. Bethenny's manufacturers tried to sneak in Corn Syrup, TBHQ, food coloring and other additives under the "natural flavors" scam. Bethenny never said anything about this being wholy-natural. She promoted it as a 100 calorie drink, And that's still what it is. Jill Zarin must have sold this story. Why use packaged mixers when it's so easy to create low-cal cocktails with fresh ingredients? Make your own. I bought 2 bottles and tried to skip making my own for a party last week. Two people tried it and spit it out. It's not going to meet everyone's taste profile so you really are better off buying various ingredients and making your own....lime juice, Splenda, Cointreau and tequila then salt the rim. Some people like them sweet, others want them bitter. You can't please a group of people with a prepared mixer. Never could. Never will. Maybe I can return the unopened bottle?